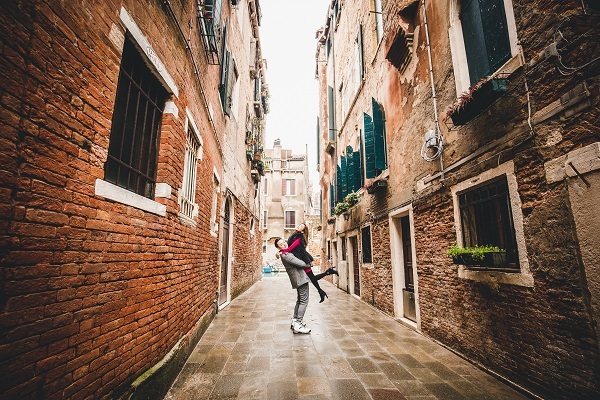 Venice shows its charme with the "high water". This phenomenon takes place during the winter time and lasts 3/4 hours and San Mark square is the fist part of Venice to go under the water. 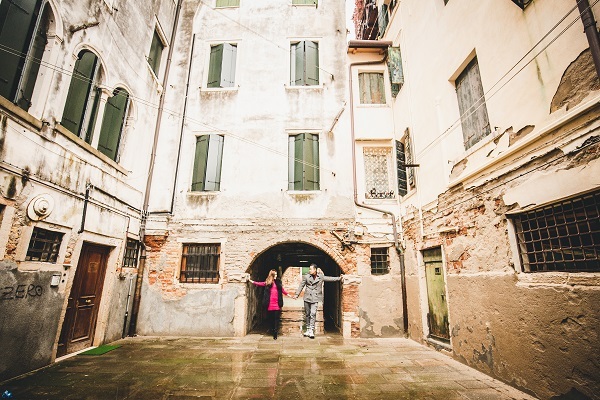 We found not flooded amazing spots to do amazing photos od Dora and Roland who came in Venice from Hong Kong for their vacation. Shooting at sunrise is always magical because there are no tourists and it is possibile to photograph any part of this awesome city. We ended the photoshoot in San Mark square fully flooded.